The No. 16 Case Western Reserve University women’s tennis team beat Division II Walsh University 7-2 last Thursday in North Canton, Ohio. The win improved the Spartans to 13-3 on the season with the win, while Walsh dropped to 10-8 this year. CWRU has won 10 of its last 11 matches. Since the Spartans only played one match in the past three weeks, they used their time off to practice and improve in areas where Head Coach Kirsten Gambrell felt there was need for improvement. For the second consecutive match, the Spartans swept the three doubles matches as fourth-year player Nithya Kanagasegar and first-year player Madeleine Paolucci topped second-year player Mercedes Fernandez and first-year player Clara Drasch 8-1 at first doubles, fourth-year player Nina Cepeda and third-year player Jessica Liu bested first-year players Maria Kacalova and Katarina Razum at second doubles 8-2 and fourth-year player Peyton Young and first-year player Nicole Cardwell bested first-year players Sofia Khairutdinova and Parvanee Karimpour at third doubles, 8-1. After being swept in doubles, Walsh came out swinging in singles, but CWRU was able to keep their composure and hold of the Cavaliers. 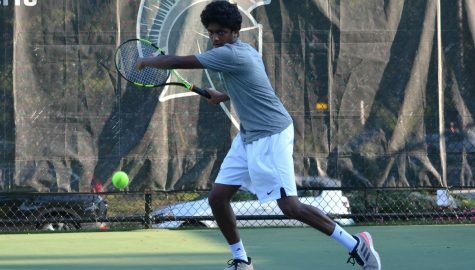 Kanagasegar earned a 6-2, 1-6, 6-2 victory over Fernandez at first singles, while Paolucci won 6-1, 6-4 over Kacalova at second singles. At third singles, Drasch beat first-year player Mira Amin 6-3, 6-4; in fourth singles Liu fell to Razum 7-5, 6-2. In the fifth singles, Cepeda picked up a victory over Khairutdinova, 6-4, 6-0, and Cardwell defeated Karimpour 6-0, 6-0 in the sixth singles match. Going into conference, Gambrell has been very pleased with the way her team is playing. 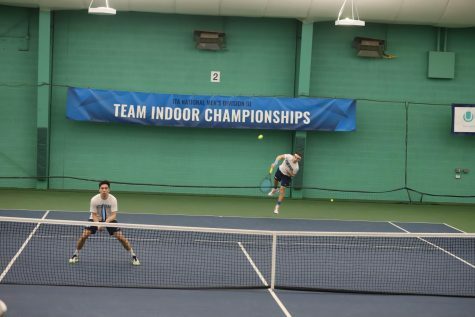 The team has now turned its attention to the conference championships which will be held from April 27 through April 29 in Altamonte Springs, Florida. Gambrell views this as the best season she has seen as a coach here, and she hopes the conference championship will be the cherry on top of an already great year.